Q: How did you get into brewing, did it start as a home brewing hobby? A: I was home “ill” from school and I caught a radio interview with Charlie Papazian on a show called “Radio Times” on NPR. That night I went out and bought his book and that weekend fired off my first brew. Q: Do you have any tips for home brewers that maybe looking to make the jump from hobbyist to professional brewer? A: People interested in brewing professionally should understand that brewing is a craft and as any other craft it can and does takes many years of experience and hard work before one really gets a well rounded perspective of the processes and the science behind them. Additionally it takes years beyond that before one can consider themselves a “master” as a craftsperson. Q: Tell us about the first beer you ever brewed, what was it, and how did it come out? A: Can not recall what style I was shooting for but I can say that it was not very good but being 17 years old my friends and I were able to swill it down. Q: What’s your favorite Flying Dog beer? A: Right now it would be Snake Dog IPA. I have always been a hop head and this beer provides me with my daily hop fix. Ask me this summer and I will probably be drinking a lot of Woody Creek White. 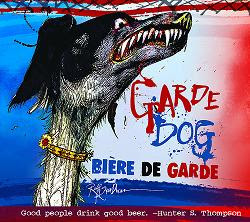 Q: What’s your favorite non-Flying Dog beer? A: Avery IPA would have to be my favorite non Flying Dog beer. I think the guys at Avery have been doing an excellent job with this beer for as long as I can remember. In addition I have never had an issue with this beer not being fresh which can be a deal killer for me. Q: Are there any plans to make brews that are lighter on the hops considering the hop prices? If so, could you clue us in on some of the interesting styles you are considering to accommodate this change? A: It is more out of coincidence but the newest Flying Dog releases are not too heavily hopped. 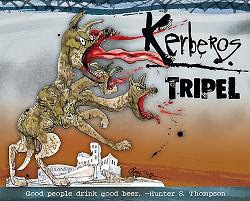 The first being our “Kerberos Belgian Style Trippel” which will be released in March, Our “Garde Dog” Biere de Garde in April, and of course our Woody Creek White, our summer seasonal. We were fortunate enough to have secured almost all of what we need for this year so while we are ensuring we get good utilization we will not be making any significant changes to our recipes. Q: Could this “hop crisis” be a good time to come up with a quality “lite” or low car beer for Flying Dog? Maybe you could call it “Skinny Dog” or “Runt of the litter” … What do you think? A: Not a bad idea. One thing that we have begun to do is use our second runnings from our big beers to create a second beer. This allows us to get twice the wort volume using the same amount of grist. Some extra water, labor, energy, and a few pounds of hops and a new beer is born. Q: With all the brewing your do at work, do you still brew for fun at home? A: Not so much anymore but we recently got a 20 gallon pilot system here at the brewery so the brewers and I have been playing around with it. We have also use this for new recipe development. Q: Do you have any final words of wisdom for the homebrewing community? Well there you have it! Thanks again to Matt, Steph and Josh!